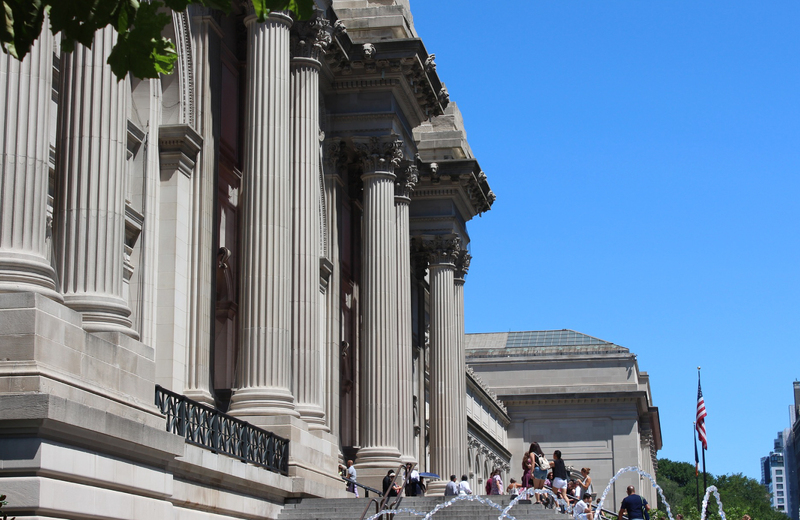 The Met is renowned for it's incredible, awe-inspiring exhibits. One if its more intriguing collections is a series of time-based media art. From the luxury Manhattan apartments, this interesting mesh of technology and time is just a short distance away. What is it, though? Here's everything you need to know about the Time-Based Media Group at the met and the preservation of these one-of-a-kind works. Simply put, time-based media is any artwork that unfolds over time. It can include video installations, works that rely on custom computer code or software, and slide projections. In some cases, it even includes performance art. These works are often a combination of media and outdated technologies. It isn't uncommon to see something like a cathode-ray tube television or a 35-millimeter slide projector used in their creation. Before diving into what examples of time-based media look like, it helps to know the group behind its preservation. The Met created a collaborative group that combined numerous departments in 2001. Its purpose is the preservation of time-based media works, attending to the needs of this works of art. Officially branded as the Time-Based Media Work Group in 2010, it now serves a separate department within The Met when its members congregate. Preservation and maintenance needs for this form of art are somewhat extensive. Take the cathode-ray tube television example. While the parts inside the television are replaceable, they're also hard to find. This group is dedicated to hunting down backup parts for time-based works and finding specialists who can fix parts when they break. These individuals are also responsible for backing up digital files onto protected servers, storing them in a secure place like any other painting or sculpture. In some cases, members may need to collaborate with the artist. Several works can be displayed in numerous ways depending on the exhibit, which means the artist must help them decide how the work should look if it is ever moved and re-displayed. The Met provides three excellent examples of this art form, ones that they display often. Each uses a different type of media and setting to complete itself. "Street" is an exhibit by James Nares that focuses on images of individuals walking the streets of New York. Footage was shot using a specialized camera designed to capture fast moving objects, tweaked to hyper focus on various objects at once, then slowed down to an almost snail-like speed. The footage is paired with musical accompaniment by Thurston Moore of Sonic Youth, a good friend of Nares. The end result is a dream-like sequence of real life. This video is paired with unique objects when on display, including fragments of marble structure from ancient Rome and a sixteenth-century Chinese hand scroll. Other additions include photographs by Robert Frank and Walker Evans. Created by Jim Campbell, Motion and Rest #2 is a software-based work of art. It utilizes custom computer hardware that controls hundreds of LED lights on a black panel. As the software tells the lights when to turn on, off or dim, they create the image of a disabled person walking with a cane. Campbell's work is inspired by the stop-motion photography of Eadweard Muybridge. This eccentric work depicts the "scientific pursuit of defining the passage of time." William Kentridge is the mind behind this five-channel video installation, initially featured in a solo exhibition during 2013-2014. Old school chairs stand in front of a projection screen with vintage megaphones at their sides. A large kinetic wooden structure pumps air through a series of custom bellows to mimicking a breathing sound. On the screen, live action scenes combine with animated drawings of clock faces, metronomes, and other imagery surrounding the concept of time. A living, breathing work of art in itself, Renoir House provides the quintessential New York City rental experience with redesigned apartments for the modern age. Located in the coveted Upper East Side neighborhood, these no-fee homes paint the perfect picture of luxury living. This classic New York combination combines classic elegance with moderns sophistication. Renoir House is a combination of modern accommodations and new age amenities. Homes feature unique barnwood-style flooring that lead to expansive windows with views of the city skyline. Iced white quartz countertops and glass tile backsplash compliment Bosch stainless steel appliances in the kitchen, while Caesarstone countertops and brushed nickel Moen fixtures create the ultimate bathroom vanity. Residents have access to carefully curated amenities that cater to life in the city. Concierge services handle the day to day, so you can focus on more important obligations. An on-site gym helps you stay active, while the roof deck provides a relaxing oasis from hectic city streets. Package rooms ensure the safe delivery of your orders, laundry facilities save you a trip to the local laundromat, and pet-friendly attitudes ensure your furry friends are well taken care of. Every aspect of Renoir House is designed to cater to your needs while delivering a heightened sense of living here in Manhattan. Your premier location places you in a hub of fine dining, exquisite shopping experiences, and world-class entertainment. Not to mention your close proximity to numerous subway lines waiting to whisk you away to the whole of the island. Five blocks from Central Park, you’ll always be able to enjoy the best of both worlds in The Big Apple. We invite you to experience the wonders of New York City in an entirely new light. Renoir House is more than just another city address, it redefines luxury apartment living. Welcome to a heightened sense of the NYC dream, where comfort and convenience collide. Welcome to Renoir House.